Online Auction Terms and ConditionsBefore you become a bidder of Seventh Deviation, LLC, you must read and accept all of the terms in this User Agreement. By registering and accepting this User Agreement, you agree that this User Agreement will apply whenever you use Seventh Deviation, LLC sites or services, or when you use the tools we make available to interact with Seventh Deviation, LLC sites and services.On all purchases we charge a buyer fee of 10% of bid price unless noted otherwise.All purchases will bear the 5.5% Wisconsin Sales Tax.If you are a reseller, a reseller permit number must be presented and on record.If you are exempt from sales tax, a completed exemption form must be completed and on record.You are required to register with a valid email address, mailing address, phone number, and credit card information.Persons not giving this correct or valid information will not be allowed to bid on any auction.Buyers outside the continental 48 states must pay with cash or wire transfer (additional $10.00 fee will be added to invoice)You agree and understand that while using Seventh Deviation, LLC services and tools you will:Be responsible for paying all fees and applicable taxes associated with our sites and services after the auction ends with a valid payment method.Valid payment methods we accept:Good check for invoices less than $200,Pre Approved Personal Check for items over $200,Money Order,Cash,Cashier's Check,Master Card, Discover, Visa and PayPal (PayPal payments must be done online).Pay a 10% Buyer?s FeePay an additional 3.5% Courtesy Fee if paying with Credit Card & PayPal(PayPal accepts credit cards, debit cards, etc)Pay the Wisconsin sales tax (5.5%) unless item is being shipped out of state or you are registered as exempt;All items must be paid for with in 5 days of auction end, with no exceptions.Bidding activity will extend, 3 minutes, per lot, if there is bidding activity in that lot in the last 3 minutes. Referred to as "soft close".All items sold "as is, where is" with no warranty.All sales are final.There are no warranties, expressed or implied, statutory or otherwise, as to the merchantability or fitness for any particular purpose of any goods offered in any sale.The items are available to the public for inspection prior to the start of the auction closing.Seventh Deviation, LLC (officers, members, agents & employees) may attempt to describe the merchandise in advertinsing, on the internet but makes no representations.in no event shall Seventh Deviation, LLC (officers, members, agents & employees) be held responsible for having made or implied and warranty of merchantablility or fitness for a particular purpose. Seventh Deviation, LLC (officers, members, agents & employees) will neither be held responsibe for accidents, nor errors, deletions or omissions.Seventh Deviation, LLC (officers, members, agents & employees) reserve the right to signup, create an account and act as a private bidder. They are subject to the same terms and conditions on items won.Seventh Deviation, LLC attempts to contractually prevent consignors from bidding on their own behalf. Seventh Deviation, LLC however, does not possess any technical capabilities to prevent such bidding.Therefore notice has been given that liberty for such bidding is reserved, as required by Uniform Commercial Code 2-328. Consignors are subject to the same terms and conditions on any items won back.No credit or adjustments will be allowed in any form or amount. 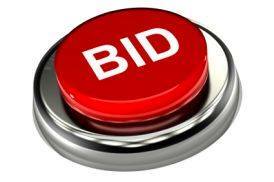 The buyer relies excusively on his/her pre-auction inspection and each lot is sold with all fault and defects therein.The buyer shall take full responsibility and assume all risk of said equipment and or items from the time the auction company accepts the final bid from the buyer.Please inspect before you bid and buy.After buyer places a bid, it cannot be retracted.After a bid is made, said bid in the sole discretion of Seventh Deviation, LLC may be accepted and create a legally binding contract.Any individual found tampering with items on this auction will be prosecuted to the fullest extent of the law.Buyer will indemnify and hold Seventh Deviation, LLC (and our affiliated and subsidiaries, and our and their respective officers, memebers, agents and employees) harmless from any claim or demand, including reasonable legal fees, made by any third party due to or arising out of your breach of this agreement, your improper use of Seventh Deviation, LLC services or your breach of any law or the rights of a third party.Any invoice not paid and picked up will be charged to the card on file at 7PM on the second Sunday following the original invoice date.Items can be picked up on the regular scheduled pickup following an auction or any Sunday at 11AM.Any items not picked up after 30 days passed original invoice date will be considered abandoned and become property of Kickapoo Valley Auctions.There is a 3.5% service fee for processing credit cards.By placing bids on our site you authorize Kickapoo Valley Auction to charge your card for any winning bids and shipping charges. Any declined cards will incur a $15 fee.You agree that the laws of the State of Wisconsin will govern the terms and conditions between you and Seventh Deviation, LLC, except as otherwise stated in the terms and conditions.You agree that any claim or dispute that has arisen or may arise between you and Seventh Deviation, LLC must be resolved exclusively by Vernon County Circuit Court in the State of Wisconsin. Disputes concerning federal law will be resolved in the Western District of Wisconsin. You and Seventh Deviation, LLC agree to submit to the personal jurisdiction of the courts located within Vernon County Wisconsin for the purpose of litigating all such claims or disputes.If any provision of these terms and conditions are held to be invalid, void or for any reason unenforceable, such provision shall be struck out and shall not affect the validity and enforceability of the remaining provisions.If buyer fails to pay in full, buyer (a) authorizes owner and/or auction company to resell such property at any time at public or private sale, (b) agrees to indemnify owner and/or auction company against all loss or damage upon sale, together with cost and expenses thereof, including attorneys fees allowed by law, if any and (c) agrees to pay auction company interest of 1.5% per month on unpaid balance. Buyer accepts full responsibility for all purchases made and holds the company free from any liabilities including theft of items. The bidder is bound by these terms.You agree to be responsible for picking up items that you win.You will have two scheduled days to pick up after the auction ends.Please notify us if you cannot pick up items on those scheduled days, we will try to arrange an alternate pick up day.Otherwise, if it is not dealt with , a late fee of $35 per item will be applied for each additional week each item is stored ($35 x each item) x week.In addition items that are past 2 weeks late become the property of Seventh Deviation, LLC and may at our discretion be put up for auction or disposed of.However the late fees, and the winning bid still must be paid.All items must be paid for within 5 days, with no exceptions, if you cannot make that deadline your credit card will be billed for your purchases.If you fail to pay for items, Seventh Deviation, LLC reserves the right to contact law enforcement regarding failure to pay and may pursue all civil penalties allowed by law which may include: forwarding the matter to or our attorneys for collection, court costs, storage fees, and any other costs incurred by Seventh Deviation, LLC.You will indemnify and hold us (and our members, agents, subsidiaries, joint ventures and employees) harmless from any claim or demand, including reasonable attorneys' fees, made by any third party due to or arising out of your breach of this Agreement, or your violation of any law or the rights of a third party.No agency, partnership, joint venture, employee-employer or franchiser-franchisee relationship is intended or created by this Agreement.We are unable to test or thoroughly inspect every item we list and sell. If damage or defects are found we try to the best of our ability to alert bidders in the item descriptions.You agree to closely examine the photographs as we show what item defects we find (if any) to the best of our ability.By registering, bidders agree Seventh Deviation, LLC shall be held harmless against responsibility of notification of any defects either known or unknown.Buyer is responsible to verify condition prior to bidding and bid accordingly.Buyers have no recourse if damage is visible in photos.Details and information may be supplied by third parties.You agree to bring your own packing materials and help when picking up your winnings.We will not assist in supplying packing materials, packing, or moving large items;You agree to be responsible for the cost of shipping, packaging, handling and additional expense per item if requested with our agreement to ship.You agree and understand that while using Seventh Deviation, LLC services and tools you will not:use our sites, services or tools if you are not able to form legally binding contracts, are under the age of 18, or are temporarily or indefinitely suspended from using our sites, services or tools;You agree to not fail to deliver payment for items purchased or damaged by you, unless we say otherwise (KVAS reserves this right, and may use it at our own discretion);You agree to not manipulate the price of any item or interfere with listings; post false, inaccurate, or misleading content;You agree to not transfer your KVA account to another party without our consent;You agree to not distribute or post spam, unsolicited, or bulk electronic communications, chain letters, or pyramid schemes;You agree to not distribute viruses or any other technologies that may harm KVA, or the interests or property of. The bidder is bound by these terms. GRISWOLD Skillet / without cross?